Home / Face / What is Pigmentation and How Can I Get Rid of It? Fine lines and wrinkles are not the only ones that can make your skin look dull and aging. Uneven skin tone due to pigmentation can also have the same effect, especially if you got brown spots and dark uneven patches on the face, décolletage, hands, and other parts of the body. Also known as hyperpigmentation, pigmentation is a common skin concern that refers to an increase of melanin (color pigment) appearing as flat and darkened spots on the skin which vary in size and color. Pigmentation frequently appears on the face and hands, as well as neck, chest and other body parts that are regularly exposed to sun. Hyperpigmentation can occur in all skin tone, in any age and can affect both men and women. Age or liver spots – smaller, darkened patches on the face and other body areas frequently exposed to sun. Melasma – larger patches of gray or dark colored skin that usually appear on the face. It can be triggered by changes in hormone levels especially during pregnancy. Freckles – small brown patches that can occur anywhere on the body, but more common on the face, chest and arms. They are inherited and can be more pronounced when exposed to sun. Post-inflammatory hyperpigmentation – this occurs when skin trauma or injury heals and leaves some sort of discoloration (like acne). Why do I have skin pigmentation? Sun exposure – This is the leading cause of skin pigmentation, as UV exposure triggers the production of melanin. Excessive sun exposure can also make your age spots and other forms of hyperpigmentation a lot darker. Hormonal influences – This is the main cause of melasma and is especially common in women. It is believed to occur when the hormones (estrogen and progesterone) stimulate the production of melanin, especially when skin is exposed to the sun. Hormone treatments can also cause hyperpigmentation. Skin injuries or trauma – Acne, atopic dermatitis, and other skin injuries like cuts of burns can leave the skin discolored and darkened after the healing of the wound. Certain illnesses and medications – Autoimmune diseases and metabolic disorders can also cause hyperpigmentation. It can also be triggered by some medications like antibiotics and chemotherapy drugs. How can I brighten my skin or remove pigmentation? As excessive UV exposure is the leading cause of pigmentation, it is only important to stay out of the sun or wear a broad-spectrum sunscreen with an SPF of at least 30. We recommend Clear Defense SPF 45 or Sheer Defense Tinted SPF 46 from Dr. Sylvia Skin Care. Both products are oil-free and non-greasy and can protect your skin without causing breakouts. It is also recommended to try non-invasive aesthetic treatments and products that can help you achieve clearer skin. If you’re looking for brown spot treatments that really work, Limelight IPL is worth considering. It uses an FDA-cleared “intense pulse light” technology to address skin surface problems such as dark spots, freckles, and pigmentation. Limelight works by delivering pulses of light at the skin to draw spots and patches on the top layers. This will then scab and fall off after three to four days. The brown spots may turn darker after the procedure, but this is normal. It may look like that it has gotten worse, but it will soon get better after a few days, revealing brighter skin. Just be sure to avoid sun exposure (without protection) or artificial tanning at least two weeks before and after the treatment. There are many reasons why a chemical peel is great for your skin. It can greatly improve the appearance of your skin by treating acne, fading mild scars, and evening out discoloration. Chemical peels work by peeling the outer superficial layer of the skin. It then helps rebuild collagen and cell growth regeneration from the deeper layers of the epidermis. At Cutis Laser Clinics, we offer a number of chemical peels that can brighten your skin. The Cutis Crystal Peel is one great option, as it has been successfully used to lighten age spots, freckles, uneven skin tone, and discoloration conditions on the face and body. There is also the VI Peel, a medical-grade chemical peel that can reduce or eliminate age spots, freckles, and hyperpigmentation. It can also clear acne skin conditions, and soften lines and wrinkles. This provides significant results after 5 to 7 days. After the treatment, your skin may appear tan or reddish. The solution will also be left on your skin and can only be washed after four to five hours. Don’t worry and rest assured that this is safe and will give your skin a tanned appearance. Pearl Laser Resurfacing is a US FDA-cleared device that can help you deal with sun damage, wrinkles, and other skin problems like acne scars and hyperpigmentation. It treats the dermis and the epidermis of the skin to give you efficient results. Pearl uses pulses of light directed at the top layer of the skin to remove a portion of the sun-damaged skin surface. This causes the skin to produce a natural protective dressing, which will peel off after three to five days. This will then reveal a fresher and healthier-looking skin with a “pearly” glow. There is downtime of five to seven days, but you can see noticeable improvements after just one treatment. You can also continue to get another session to maintain optimal results. This is because the sun can continuously damage our skin over the years. Obagi, a well-known professional skincare brand, offers safe and effective products that can lighten the skin and treat spots and hyperpigmentation. They have topical treatments with prescription strength of 4% hydroquinone, a well-known and safe skin-lightening ingredient that can be used at home. It is important to know that Obagi can only be used with a prescription from an aesthetic doctor. This also requires consistent follow-up and supervision to make sure that your skin is reacting well to the product. A consultation with an aesthetic doctor in Singapore is advisable to learn more about the Obagi’s skin lightening products and to know which one is right for you. In Cutis Laser Clinics, we provide safe prescription supplement formulated with clinically-proven ingredients that help maintain healthy, radiant skin from within. This supplement contains Phytofloral and Tranexamic acid, two ingredients that have been found in clinical studies to be safe and effective in treating melasma and brown spots. Phytofloral is a natural antioxidant that comes from non-chemical processed tomatoes with colorless carotenoids. These are the only type of carotenoids that can absorb both UVA and UVB light. It helps lightens the skin by protecting it from environmental damage that causes age spots, sunburn, and pigmentation. Tranexamic acid, meanwhile, is made from an amino acid (protein) called lysine. This was discovered in clinical studies to reduce melasma safely if used in lower concentrations. Don’t let pigmentation make your skin look dull, uneven, and aging. 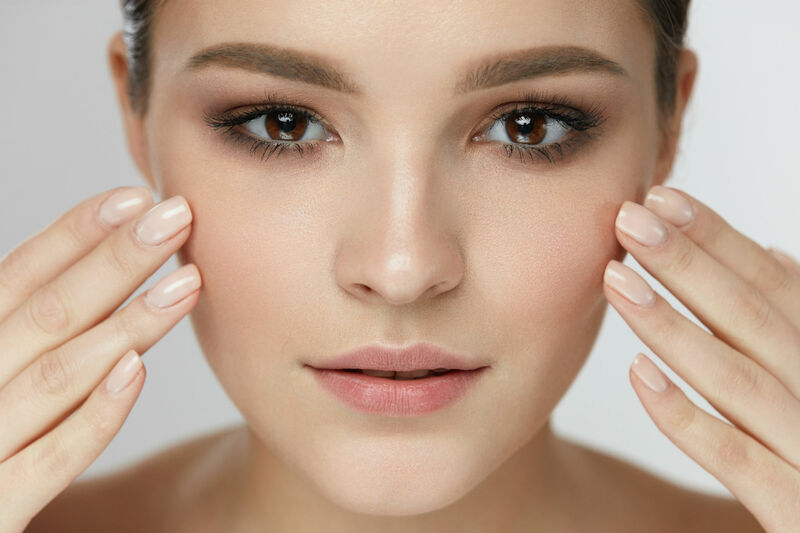 Contact Cutis Laser Clinics today and schedule a consultation with our Harvard-trained aesthetic doctor, Dr. Sylvia Ramirez, to find out which of the treatments mentioned is suitable for you.